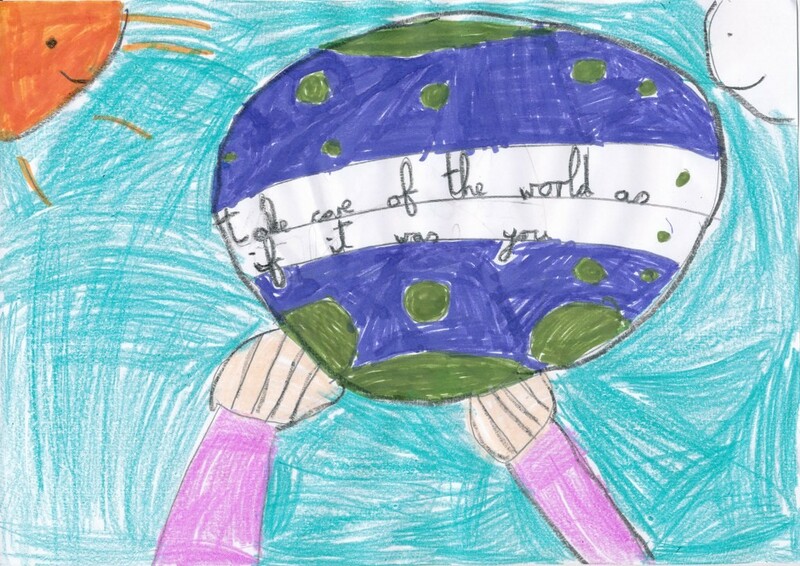 Using some inspiration from the story of 'Flat Stanley' by Jeff Brown, we wanted to explore and see the world. 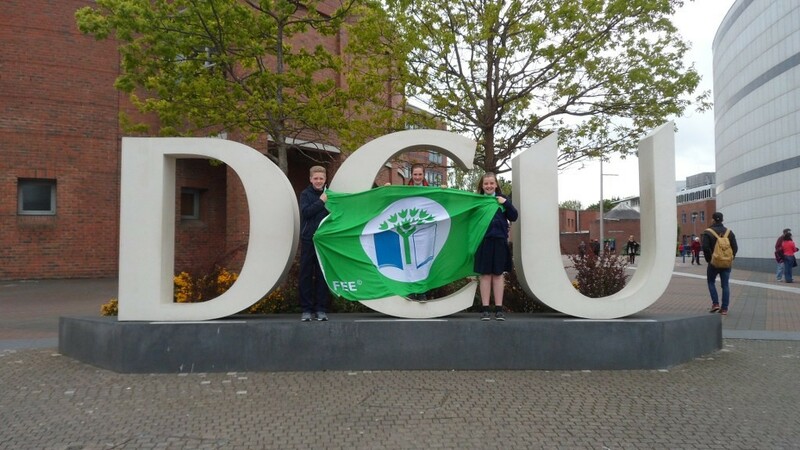 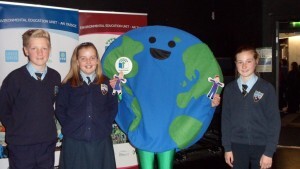 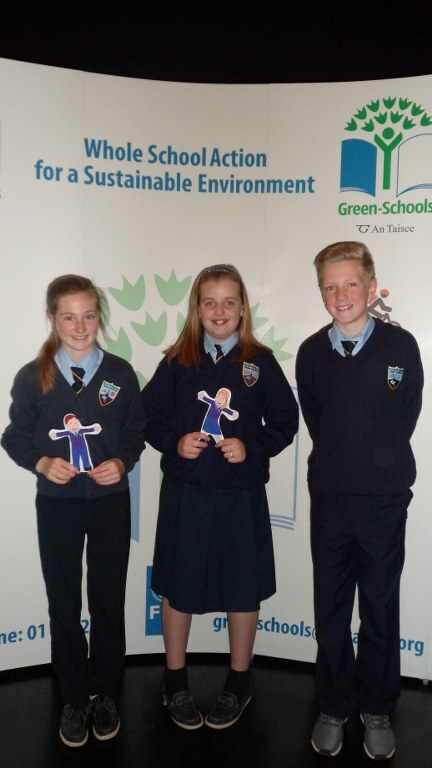 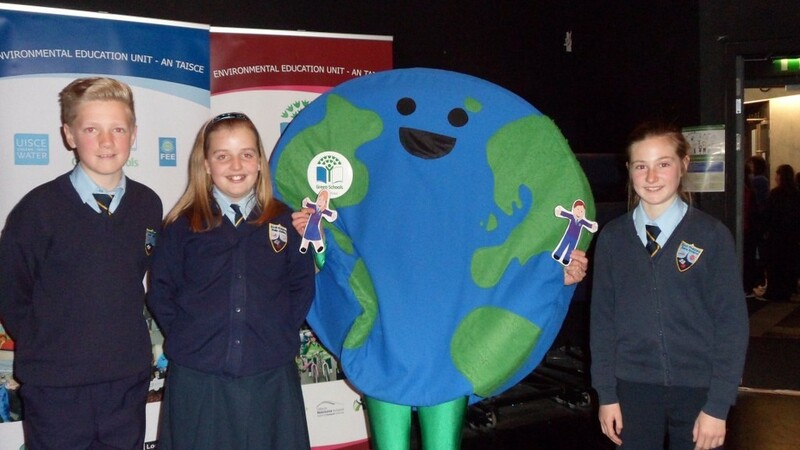 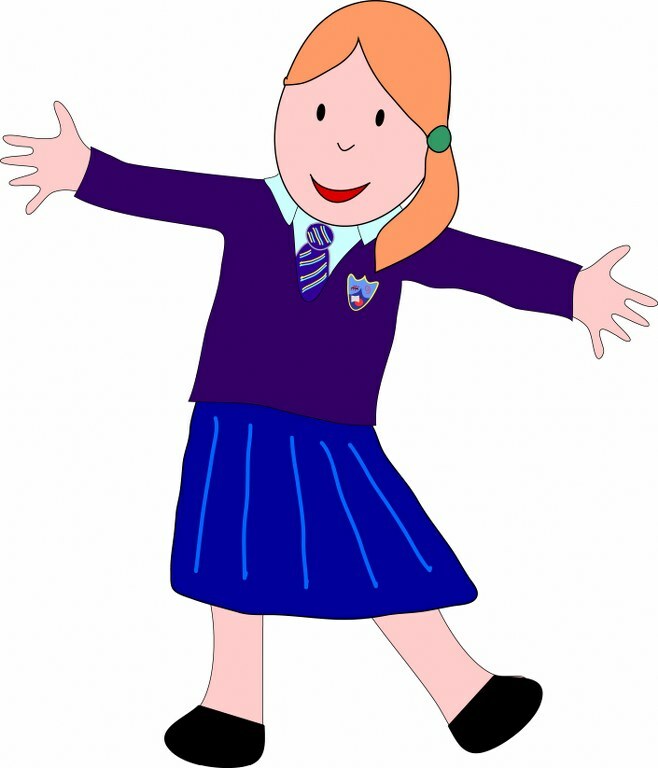 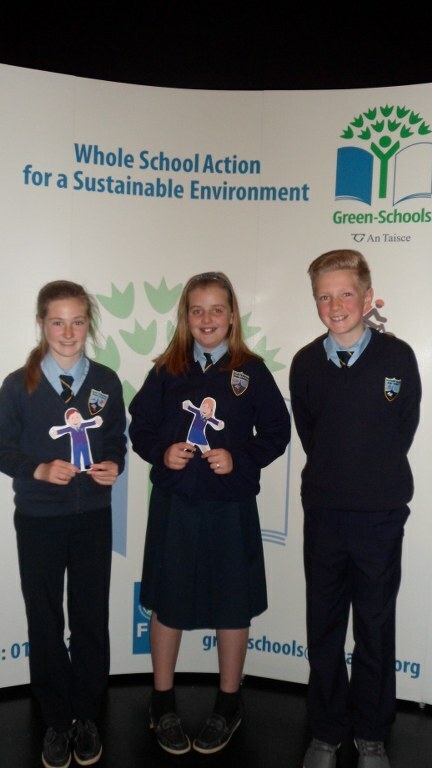 To this end, we sent students Flat Paddy and Flat Patty off on their travels and they have been sighted all over the globe and they're not finished yet! 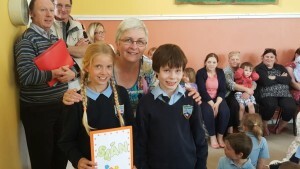 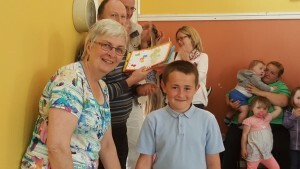 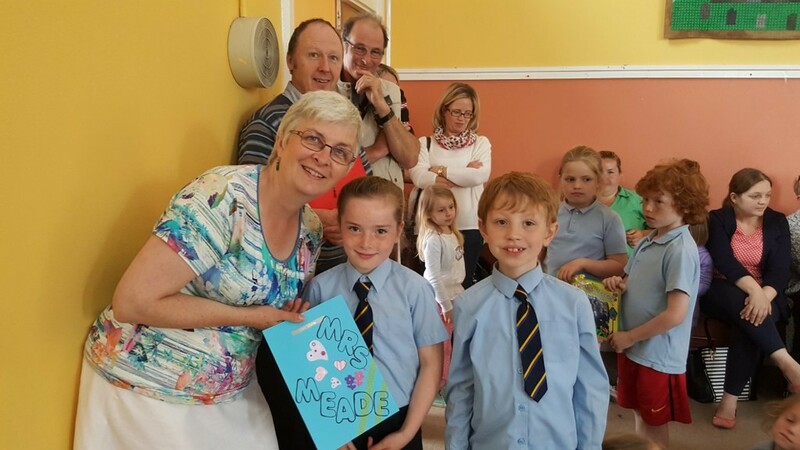 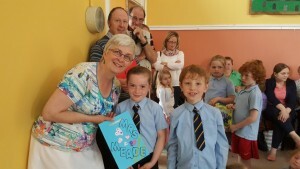 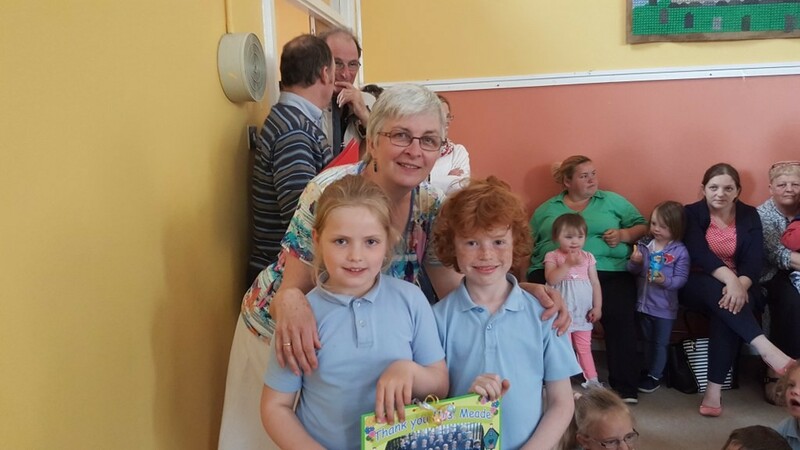 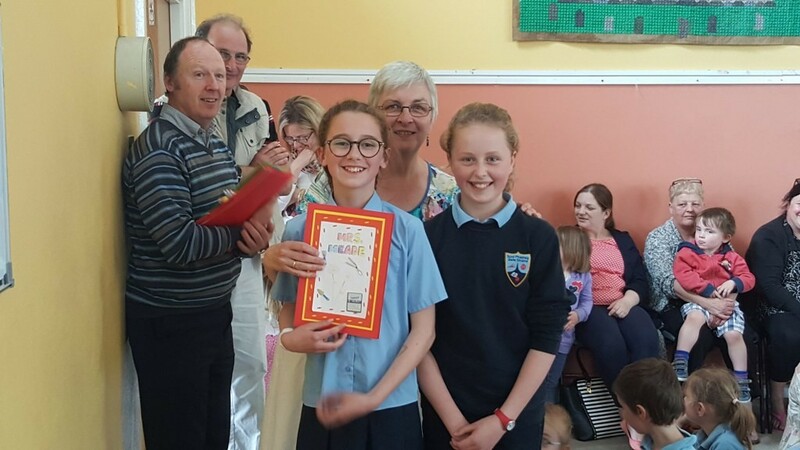 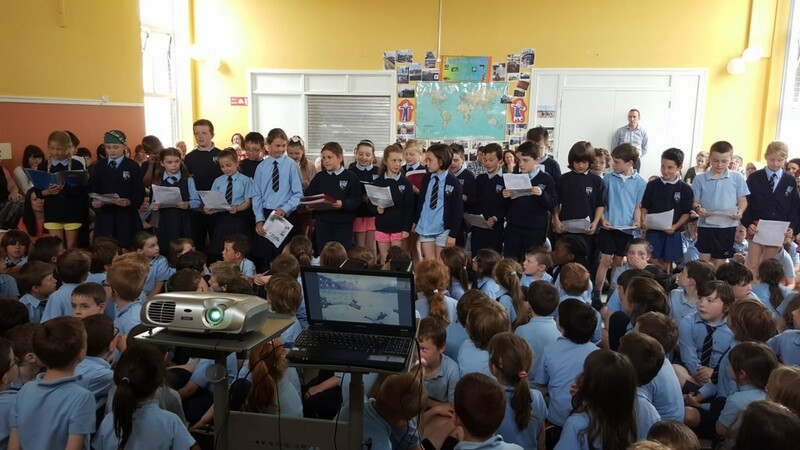 The pupils were all given a Flat Paddy or Flat Patty with the task of taking a photo showing our littlest pupils in a different place or country. 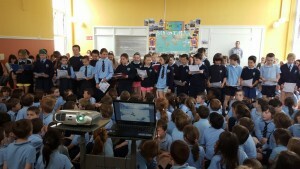 We have a large map of the world in the school hall with all reported sightings of our explorers and photos as proof. Can we get them to every single country? 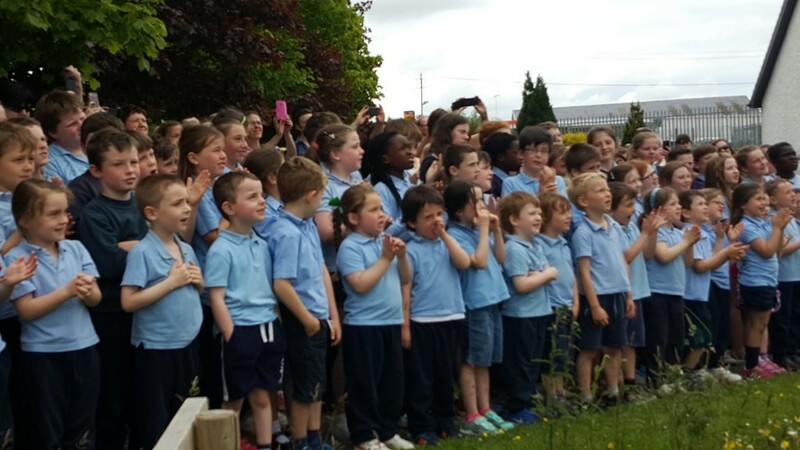 St. Patrick's NS needs you! 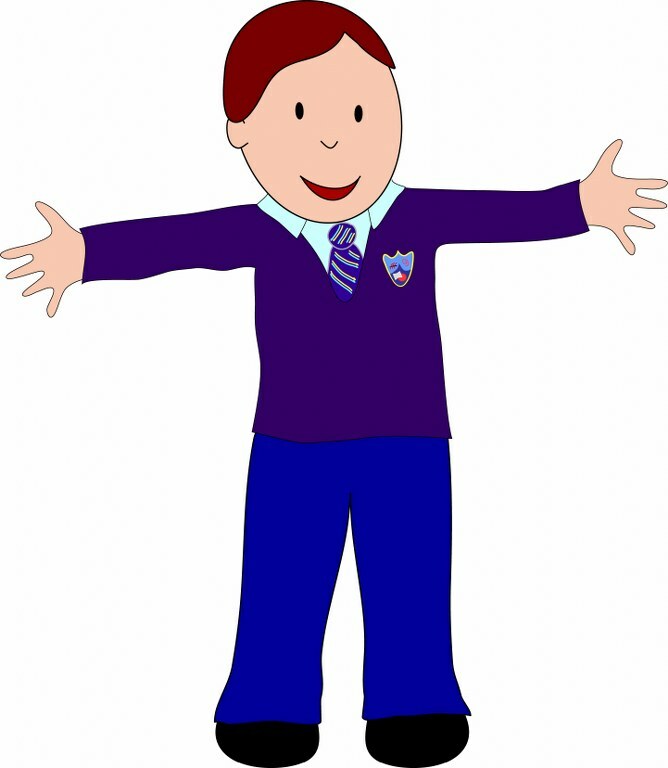 If you're going on holidays, have relatives in distant lands or have a First Class stamp that needs to be used, let's keep them moving and see where else Flat Paddy and Flat Patty can get to! Just email back a photo to the school or drop it in. 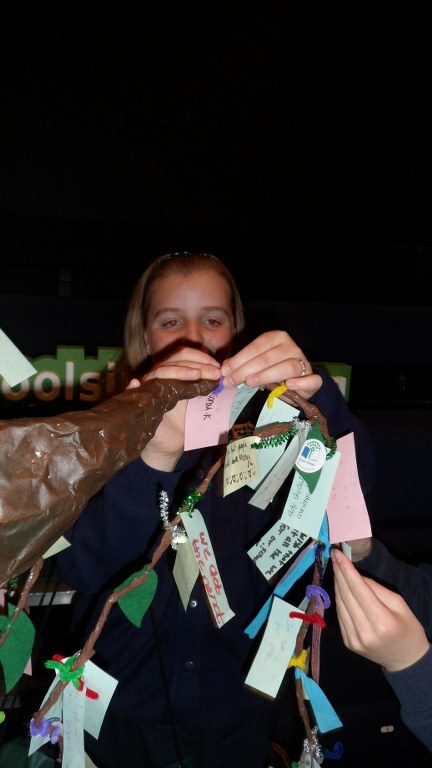 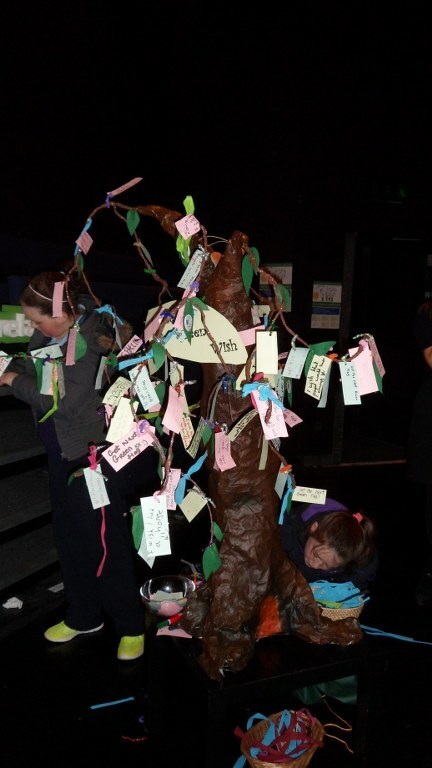 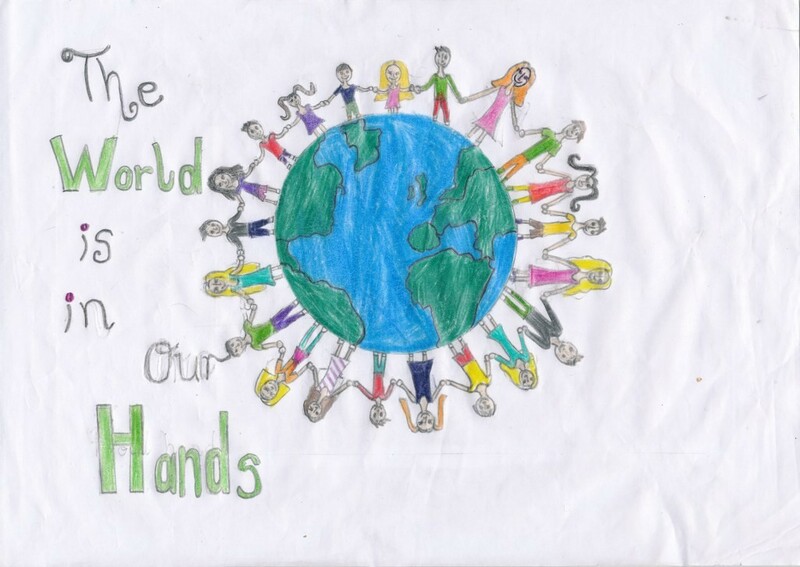 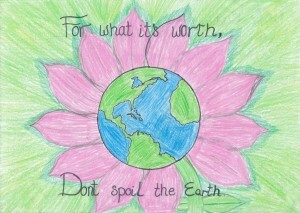 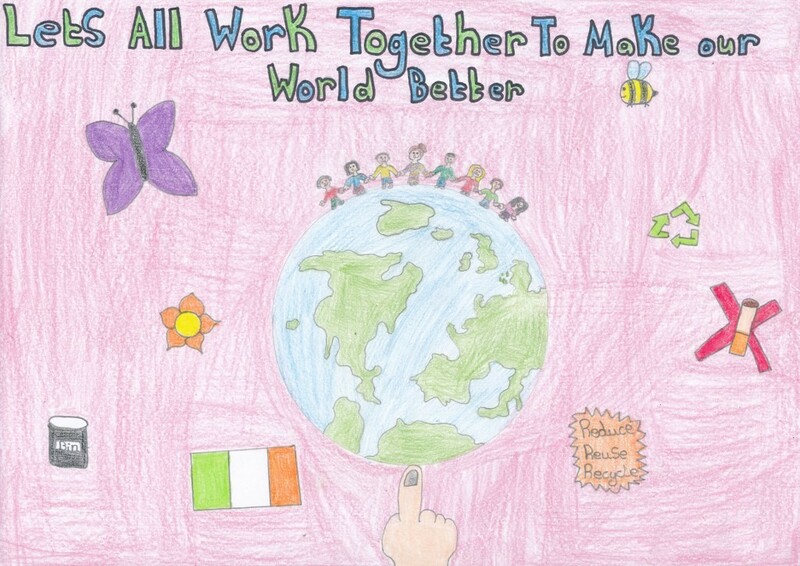 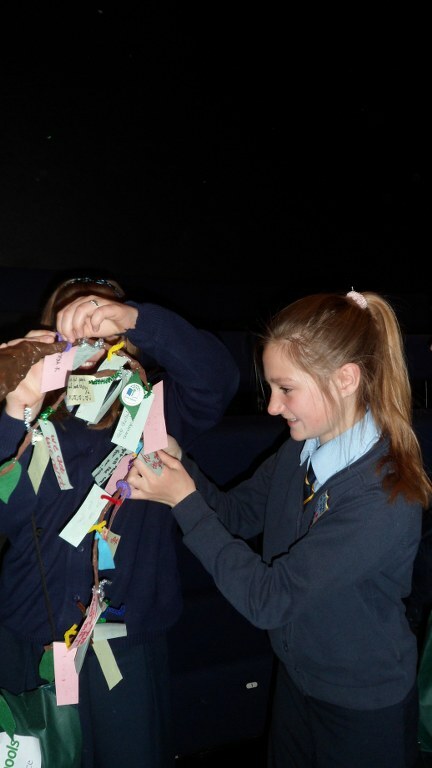 As part of the school application for the 6th and final green flag, Global Citizenship, pupils in a number of classes have been doing project work on Fair Trade. 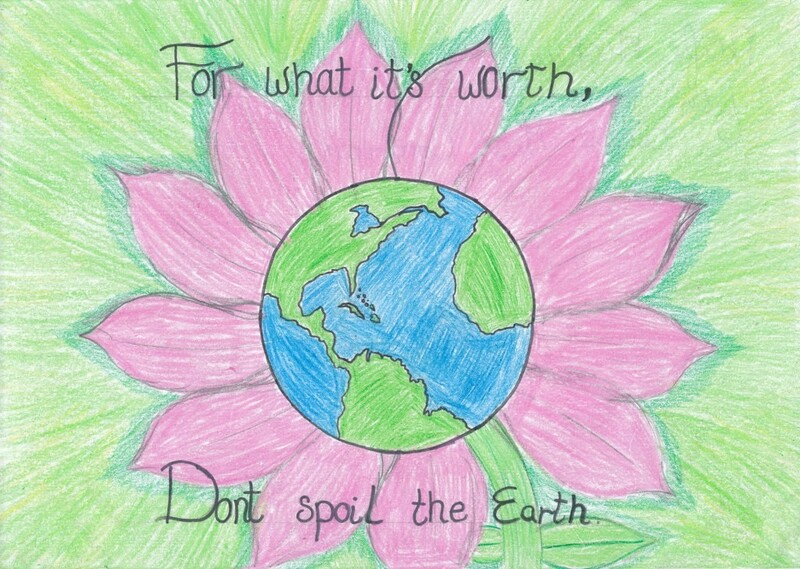 Fair Trade means that the growers of tea, coffee, bananas, cocoa and other products receive a fair price for their crops and work in good conditions. 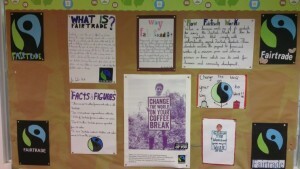 As part of the project all tea and coffee served at the Cake Sale this week will be made from Fair Trade produce. 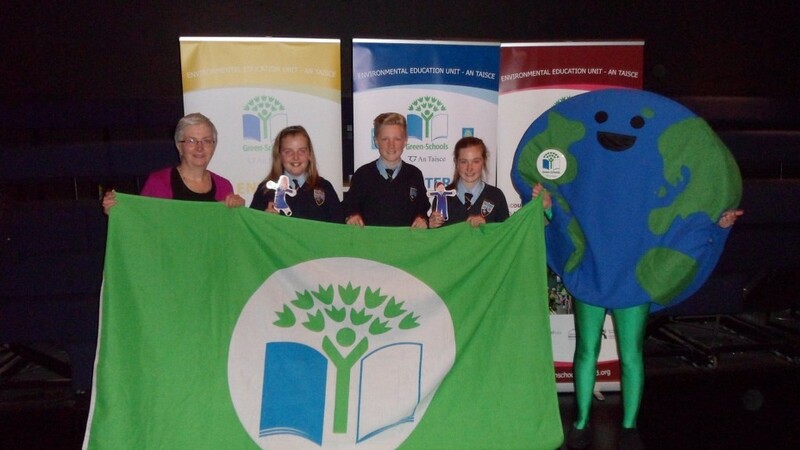 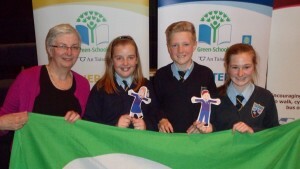 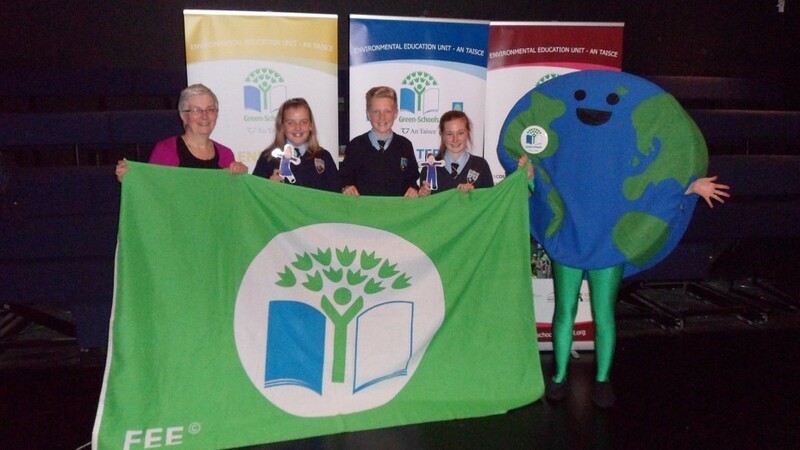 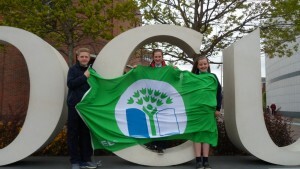 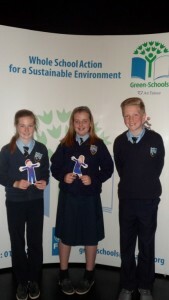 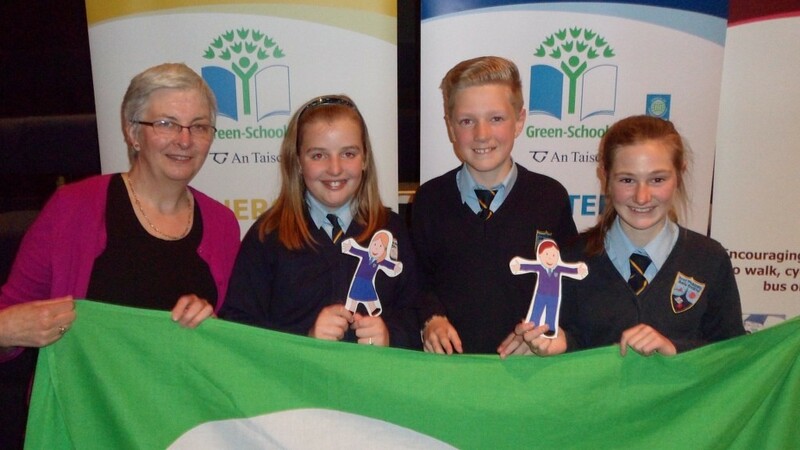 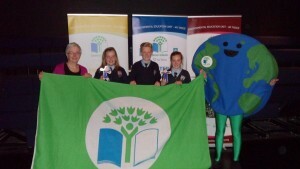 As part of our sixth green flag Slane N.S. 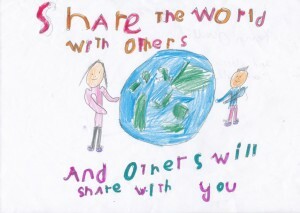 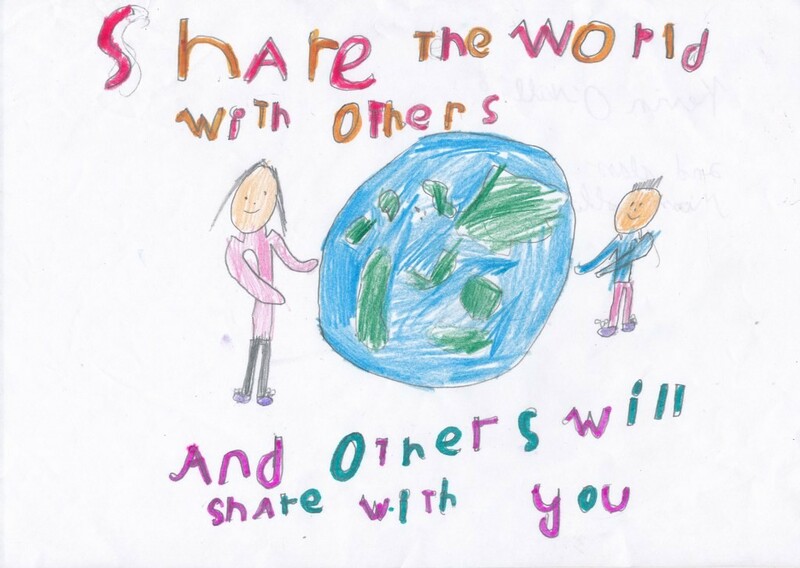 held a global citizenship day in the school. 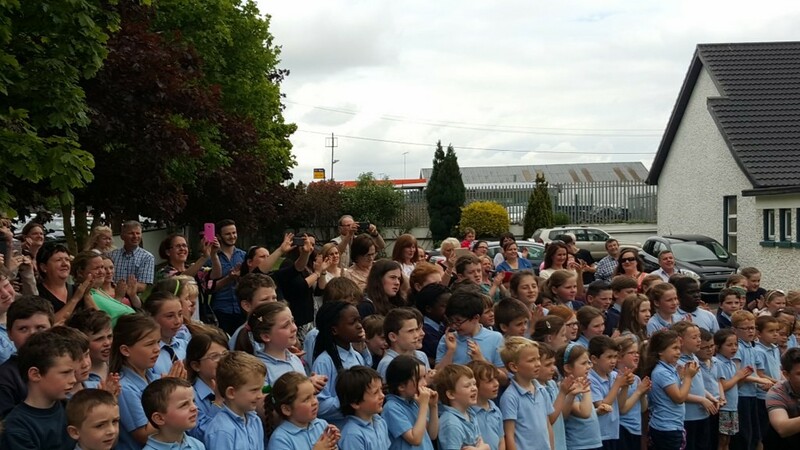 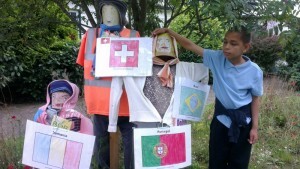 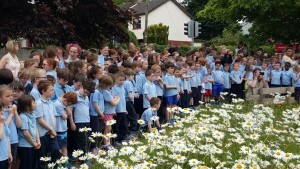 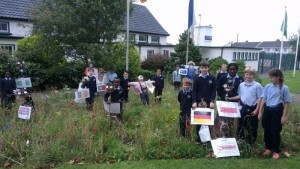 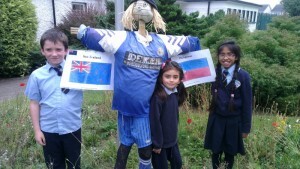 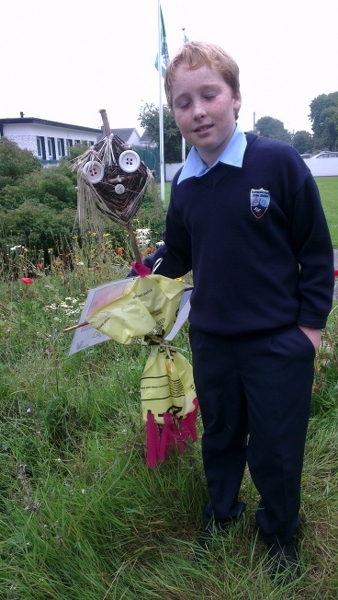 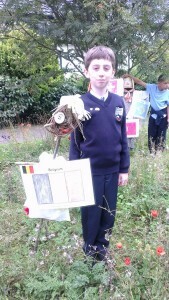 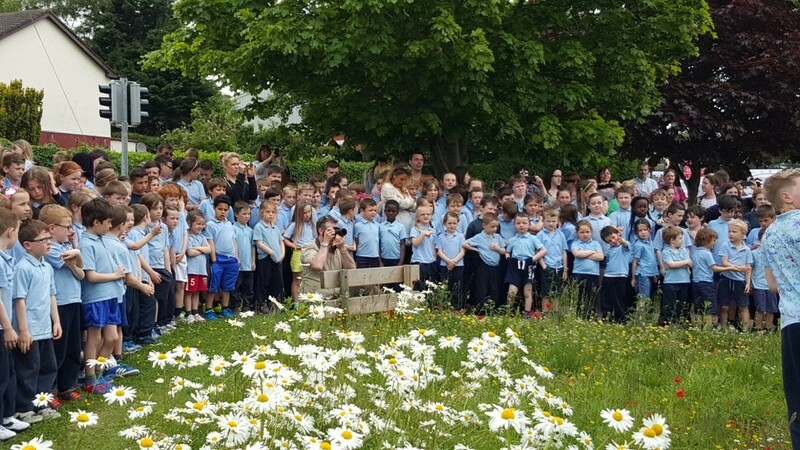 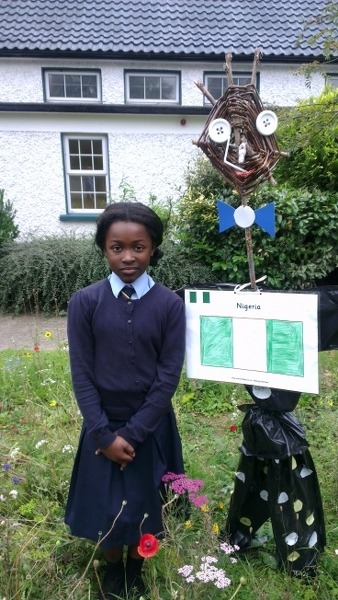 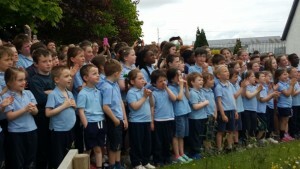 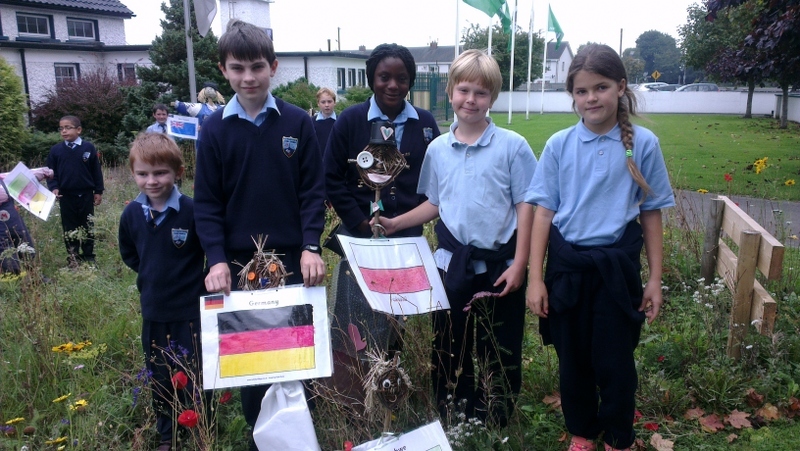 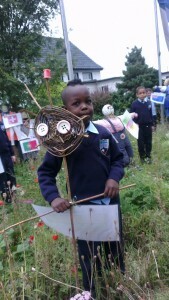 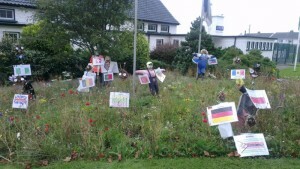 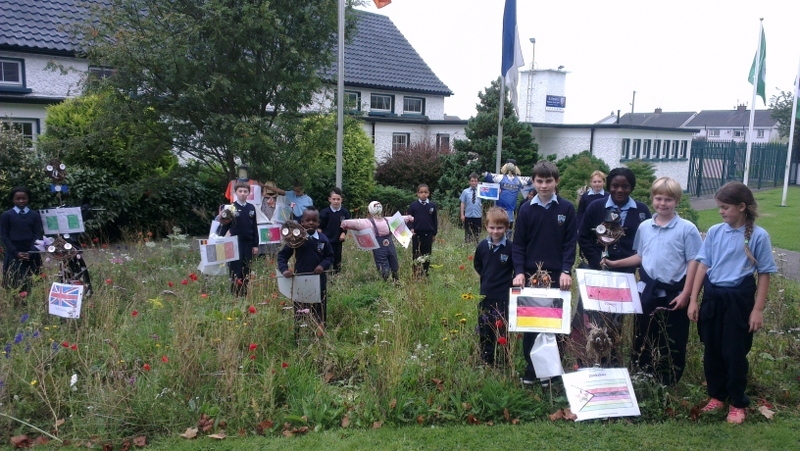 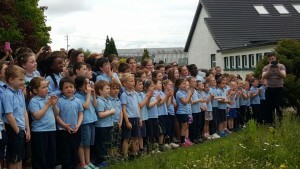 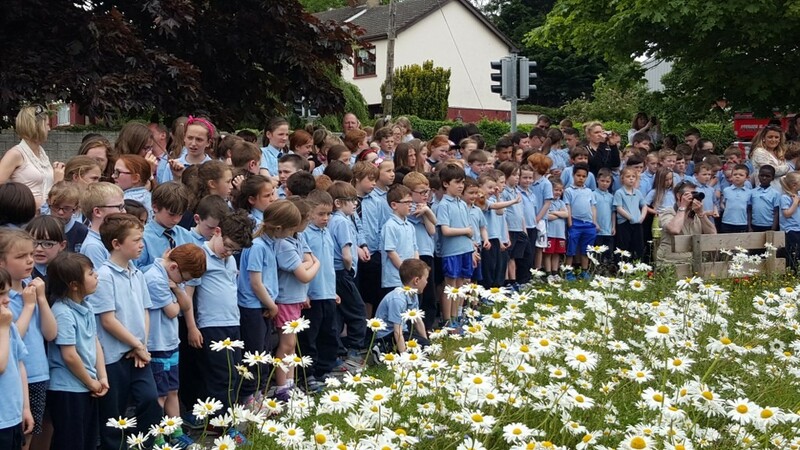 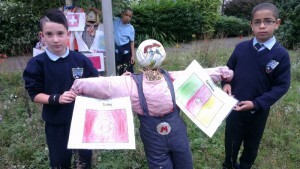 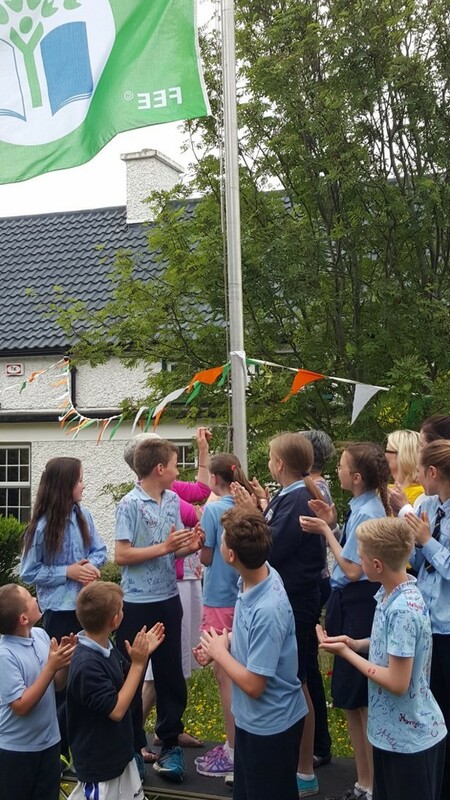 Pupils who were born outside Ireland were photographed in the school garden at the front of the school with the scarecrows and flags of their birth country.